I always make white sauce on the stove in a saucepan. Apart from stirring it fairly constantly, it’s easy. I use a whisk instead of a wooden spoon to avoid lumps and it works a treat. But… it’s much easier to make a large amount of white sauce. Making toddler meals you tend to only need about a tablespoon of sauce. Up until now I’ve tried to make a small amount, used less than half and thrown the rest away (and that makes me feel VERY wasteful!). I stumbled across a recipe that made white sauce in the microwave. While I’ve embraced my microwave more since feeding Nicholas, I was more than just a little bit sceptical of using it to make a sauce. Surely there will be lumps? Focusing on the fact that I could make a small amount hopefully without wastage, I tried it. It worked. Use the point of a knife or a skewer to prick the sweet potato in a few places all over. Cook on high in the microwave for 3-4 minutes until it feels soft inside. Leave to cool then pull off the peel and mash in a small bowl. Add a teaspoon or two of the milk and mix. Season if you wish. 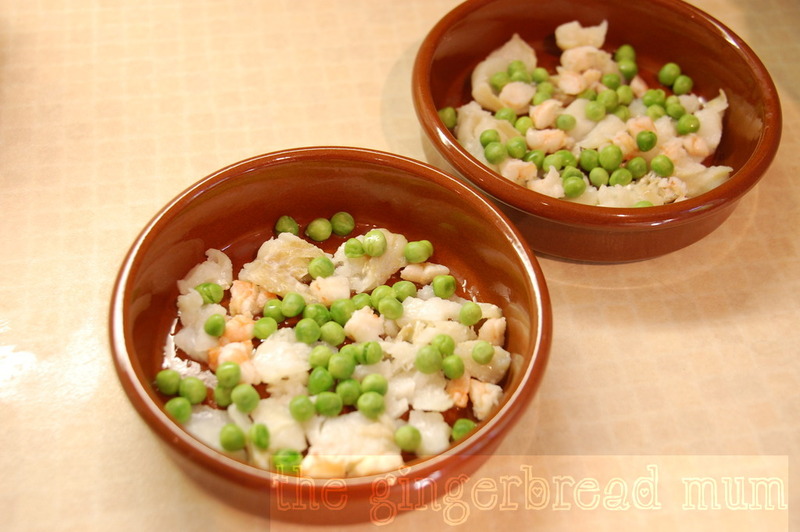 Put the fish and prawns into a small microwave-safe bowl with about 3 tbsp of the milk (enough to just cover the fish and prawns). Cover and cook on medium 1-2 minutes until just cooked. Drain but keep the milk. Flake the fish checking for bones and cut the prawns into small pieces. Divide the fish and prawns between two small oven-proof dishes (souffle or creme caramel ramekins are perfect). Scatter over the peas. Melt the butter in a medium-sized bowl in the microwave. Mix in the flour well making sure there aren’t any lumps. Add a pinch of salt and pepper if you wish then add the milk (including the milk you cooked the fish in). Whisk until the mixture is smooth. Cook on medium in the microwave for 3 minutes, stopping every minute to whisk it. Your finished sauce should be quite thick. Pour the white sauce over the fish mixture. 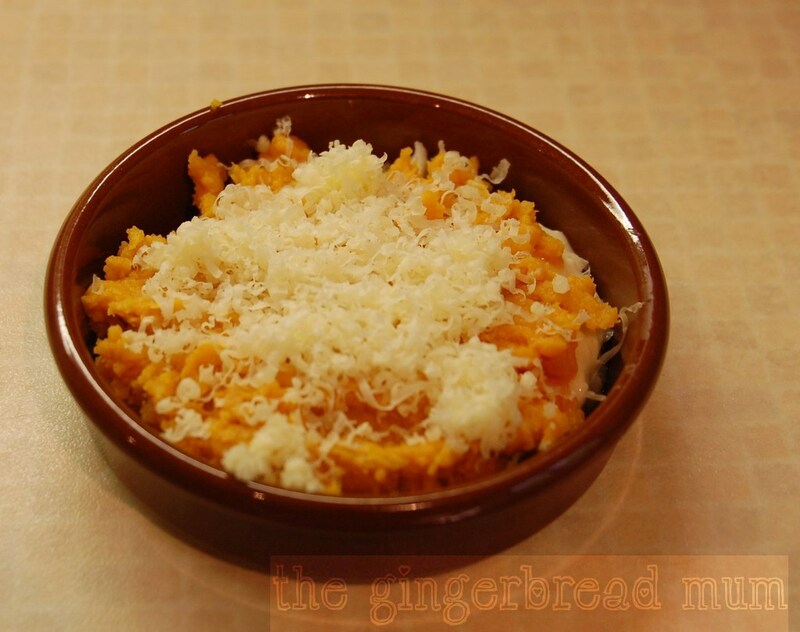 Dollop on the sweet potato and the grated cheese. Put under a hot grill for a couple of minutes until the cheese is melted and golden. Apologies for not having a photo of the finished dish. My very hungry toddler wasn’t interested in waiting any longer for his dinner! 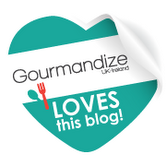 Posted in dinner, lunch, recipe, toddler and tagged dinner, fish pie, lunch, microwavable white sauce, microwave, prawns, recipe, toddler, white fish, white sauce. Bookmark the permalink.